Refrigerated warehouses (cold storage facilities) have one of the highest electric energy consumption rates in the commercial building sector. After personnel, energy is usually their second highest operating expense. The Ongoing Debate: How to Define Zero Waste? When we throw things into the trashcan, we rarely think about where the trash goes. It is, after all, out of sight, and therefore (for most of us), out of mind. The World Economic Forum recently published an article about how much Americans waste, and surprisingly enough, we were #10 for energy consumption and #8 for carbon-dioxide emissions. You might be thinking, “that’s not as bad as I thought it would be.” But waste, like time, is tricky to measure objectively. While most people’s interaction with cold storage is limited to their fridges and freezers, in reality, the cold storage facilities are an essential part of every consumers life. How is Your Electricity Consumption Affecting Your Demand Charges? We all know that depending on how we use energy, we are charged differently. For most of us, that is to say small time customers, our energy bill comes in the form of a flat rate based on our total energy used for the billing period. Larger consumers of energy on the other hand, are often charged a higher number based on their demand. These are referred to as demand charges. Are we facing just another buzzword phenomenon, or are “smart cities” truly a step forward in the right direction to improve urban planning? 2018 is going to be a year of technological discoveries and new energy saving opportunities for utility companies, energy storage, electric vehicles, and crypto currencies. Some of these changes will be revolutionary to how we live and do business, so the developments that unfold within the next twelve months are vital to the future of the energy consumption. Are increasing threats to Arizona’s soaring heat becoming an opportunity for change? 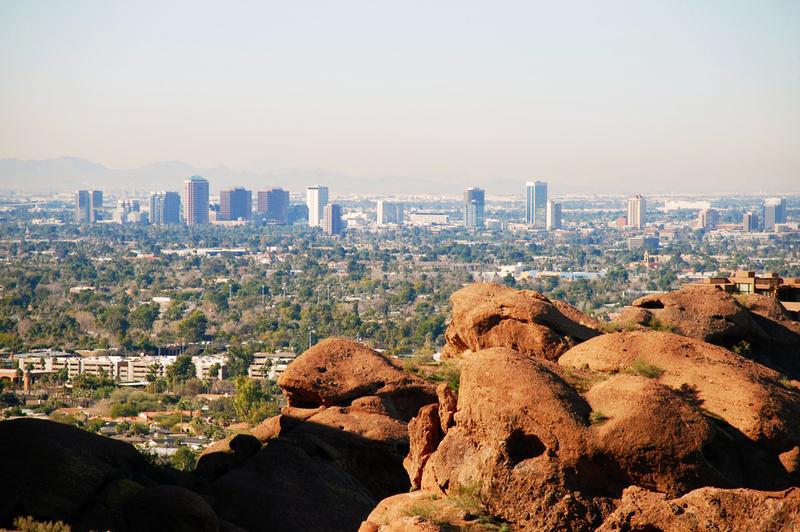 This blog is in response to the Phoenix Business Journal (PBJ) article, “Burn notice: Climate change threatens Phoenix” written by Mike Sunnucks. Untenable, unsustainable and unlivable – these despairing words are the opening to a bleak prediction of Arizona’s economic growth and climate change. As a city, Phoenix has faced increasing temperatures that are 7.4 degrees above normal, a hike in heat-related health impacts and deaths, rapid population growth that’s gone from 375,000 in 1950 to 4.6 million people today, and policymakers who deny climate change as an issue. For every problem, there’s an opportunity for change, innovation, and growth. Even with the economic, political and environmental issues, “Arizona is in a unique position to turn a potentially disastrous situation into viable opportunities,” Ketan Patel, CEO of Naya Energy. This presents Arizona with a unique opportunity; to lead the world in energy innovation, testing, and validation. Wouldn’t it be better to use Arizona as the testing grounds to develop and test the boundary conditions of new innovative technologies, as compared to Southern California, where solar demands are dramatically lower after dark? As noted in the PBJ article, “the biggest challenge is the Phoenix economy still is driven by growth.” In fact, the U.S. Census Bureau found Maricopa County to be the fastest-growing county in the nation – with 222 people added per day in 2016. Energy storage is going to become an increasing necessity as we use alternative power to meet growing energy needs. The current Lithium-ion battery option doesn’t work in high-heat environments, as it reduces its battery life and efficiency. “This is another reason why Arizona would be incredibly important for this revolution, it is a problem that we will have to overcome,” stresses Ketan. Arizona’s strained energy usage and increased temperatures pose a unique competitive advantage in building energy-related innovations and technologies. Articles like “Burn notice: Climate change threatens Phoenix” combat the common perception that everything is fine. But after we understand the problem, what are we going to do about it? Written by Charlotte Oliva, Marketing Team and quoted by Ketan Patel, CEO of Naya Energy. To learn more about what we do here at Naya Energy, fill out the contact form below. Twenty-seven innovative companies go head-to-head in a live “pitch-off ” for the chance to win a cash prize and to be crowned Venture Madness Champion. Naya Energy has won the chance to compete in the SaaS Scale category* as a 2018 finalist for Invest Southwest’s Venture Madness Conference, on January 30, 2018. Follow us on Facebook, Twitter or LinkedIn to find out who’s crowned Venture Madness Champion. May the best pitch win.